Whether written by one mom, two parents or an entire family, Family Blog is a great Premium WordPress theme that focuses on capturing and chronicling all the precious moments and stories of the family’s everyday life. With an eye-catching design, different post formats and a unique archive, you will definitely create an awesome personal blog for your beautiful family! This beautiful theme includes everything you’ve come to expect from a family blogging theme — it is a simple, powerful, beautifully designed theme with great features and responsive design. Through all of the posts, pictures, and videos you can preserve the memory for you while it keeps friends and family members updated on the family’s doing. Family Blog theme has 7 Post Formats available to handle your content and to capture your memories in the best way possible. Each of these formats structures your post differently, just choose one from video, audio, gallery, quote, aside, link or image and make your post to look awesome. It is wonderful to keep your memories alive, both for your family and for future generations. Thanks to the archiving feature page your older posts can be found online at any time in the future. 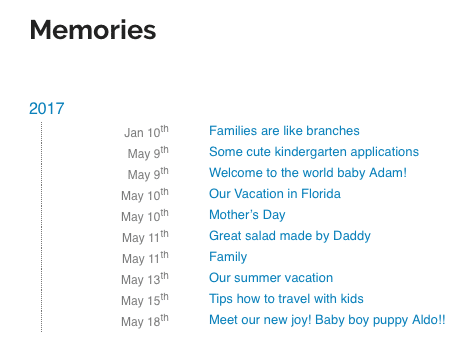 Family Blog WordPress theme has a nice way to display an archive just for your blog. Want to see your little baby? Browse the archive blog but don’t get emotional..
Family Blog WordPress theme is highly-customizable with powerful and advanced theme options to give you limitless possibilities when it comes to setting up your personal website. 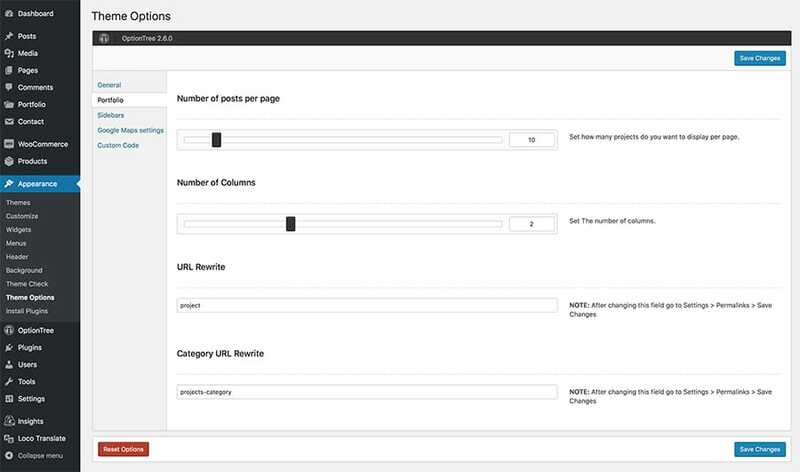 You can create a new style or change the overall Layout of your website in no time. Great theme! Works smoothly and has wonderful customer support. I love how all family pictures and posts I write are presented in the blog. I love this theme. Very easy to use and modify and it’s for sure perfect for my family. I will finally keep and write all my family and friend memories. Thank you!